This site offers a great and all-rounded gaming experience, making it suitable for players who like to try their hand at everything from slots to live games and all else in between. The welcome offers all involve wager-free spins. You can choose between three different offers, which makes it perfect for all types of players to join in the fun. 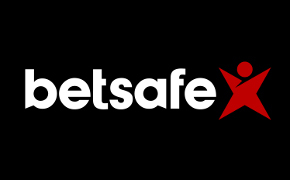 Betsafe was once known for myriad weekly promotions and awesome offers, and that is still true for many geolocations, particularly Germany and Scandinavia – so if you are playing from one of these areas, do make sure to check out what’s available on the website at any given time. UK players are somewhat less lucky. There are promotions here and there, though some of these are limited offers. For a period of time, for example, Irish players could get an optional live casino bonus. At any rate, players can log into their account to find whatever offers may be available to them on any given day. There’s certainly plenty to do when you log onto this site. A wide variety of games are available to play and all of course can see you getting some great wins. So let’s take a look at a few of the great games you’ll be playing once you join the site. Fans of slot games will discover a fantastic selection to play at the Betsafe Casino. Down the left hand side of the home page is where you need to click to go right away to the video slots section of the site. There you’ll find over 300 different games to play! You can sort all those games either by A to Z, release date or the most popular so finding your favourite won’t take you too long. Once you’ve tried your luck at the slot games, you’ll probably fancy playing some of the casino games on the site. There are separate sections for Roulette, Blackjack, Video Poker (BetSafe has a separate Poker site) and Table Games. There’s 37 Table Games to play including ‘Lucky Ladies Blackjack’, ‘Casino Hold ’em Poker’ and ‘Double Ball Roulette.’ That all means lots of variety on this excellent site. Going onto a site and winning a massive jackpot is the dream you have every time you log in. There are plenty of opportunities on this site to make that dream become a reality. There’s a special Jackpot section and over 20 games to play. Some of those could just make you rich beyond your wildest dreams, especially ‘Mega Moolah’ which regularly gives players the chance to become millionaires. Try getting to sleep after that! Banking won’t cause you any headaches on this site. There is a large number of methods that can be used to deposit and withdraw cash. All those available to users of the site are listed on the home page. Also take a look through the FAQ’s for some more useful information on the banking requirements on the site. If you’re still a bit puzzled then there’s excellent live chat/help available. You’ll have gathered by now that there really is so much to enjoy about this site, whether it’s the games or the available promotions. Well it’s a good job that they have a mobile site that can be downloaded onto your iPhone, iPad and Android devices. It’s easy to download and there’s a welcome bonus and other special offers (including tha Happy Hour on Saturdays) to enjoy. There are plenty of ways of getting help on this site. You can access the Live Chat or give them a phone call. Also access the FAQ’s page with lots of answers to your problems to be found there. There are tons to love about this site. It has some excellent promotions and not a day goes by without you having the chance to earn a bonus. Plenty of games to play and big jackpots to win. There may be lots going on but navigating your way around the site is easy. Click on the games sections on the left-hand side of the page or go to the bottom of the page. A really impressive site to play at.